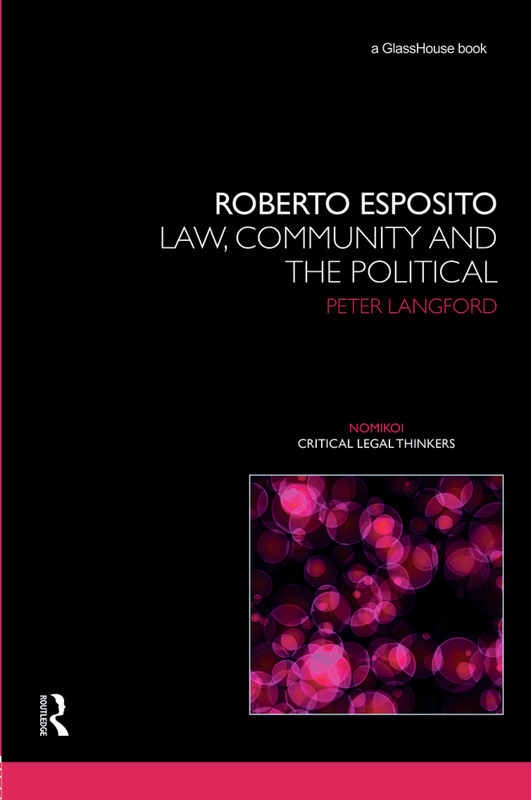 Roberto Esposito: Law, Community and the Political provides a critical legal introduction to this increasingly influential Italian theorist’s work, by focusing on Esposito’s reconceptualisation of the relationship between law, community and the political. The analysis concentrates primarily on Esposito’s Catégories de l’Impolitique, Communitas, Immunitas and Bíos, which, it is argued, are animated by an abiding concern with the position of critique in relation to the tradition of modern and contemporary legal and political philosophy. Esposito’s fundamental rethinking of these notions breaks with the existing framework of political and legal philosophy, through the critique of its underlying presuppositions. And, in the process, Esposito rethinks the very form of critique. As the first monograph-length study of Esposito in English, Roberto Esposito: Law, Community and the Political will be of considerable interest to those working in the areas of contemporary legal and political thought and philosophy.